What? What? More Christmas makes? Well… yes. Because now that the TheTwistedYarn has turned on the festive ideas tap, it just won’t stop dripping. Somebody call a plumber. 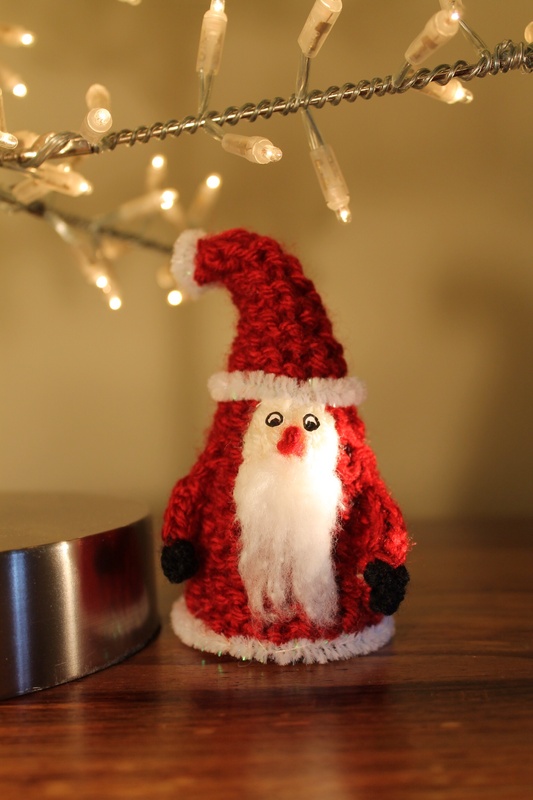 So, assuming that the easy-to-knit Christmas trees were on the favourable side of tolerable, here’s another easy decorative knit for Christmas. I’m deliberately creating the simplest, most beginner-oriented designs, involving nowt more taxing than a garter stitch square. And in case even that sounds daunting to complete beginners, let me make it clearer: you get to knit every stitch of every row. No purling. No fancy-schmancy through-the-back-loop, yarn-over, P37.6tog shenanigans. These projects are designed for beginners (children and adults), but more experienced knitters will enjoy adding extra embellishments. Or is it just me?